Leather, stone, and cloth. Wild goods for Wild Folk. 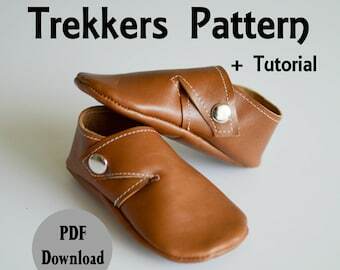 Announcement TheWildFolkCo is now pleased to offer our patterns!! We have made them available for you to download in PDF format! TheWildFolkCo is now pleased to offer our patterns!! We have made them available for you to download in PDF format! Our new Rust Colored Oxfords pair perfectly with our Rust Suede Pacifier Clip! This would make a wonderful gift! Outfitting you for life's adventures. At The Wild Folk Co, we believe in embracing your wild. Getting outdoors, making memories, learning lessons from nature, and discovering new things. It's just part of who we are. We also believe in shopping small, supporting local (American) businesses, and buying handmade products. Our leather products are made by my own two hands (usually during my child's nap time), and great care is taken on each and every product. 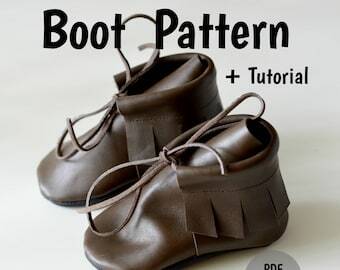 As I'm cutting and sewing your child's moccasins together, please know that I'm imagining the sweet little babe whose feet they will protect, and sending lots of love and gratitude your way! Hi there!! I'm Mel, Owner and Constructor of The Wild Folk Co. I love creating, the smell of leather, and adventuring whenever possible. Our products are made by me in our sunny Florida beach town. Will my order look EXACTLY like what's pictured? Though I try my best to strive for consistency, since your item will be made by my two hands and not a machine in a factory, every time will be the slightest bit different. Also, just as you may have freckles or blemishes, so do animals. No hide is absolutely perfect, and while I would never send out a pair of moccasins with a large nick or scratch, or a major discoloration, you may come across tiny blemishes in your leather that are unavoidable. 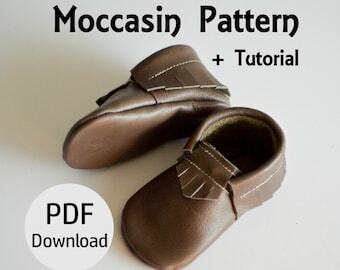 What size moccasins should I order my little one? Please measure your child's foot before ordering moccasins. Since it's much more likely for your kiddo to grow than to shrink, always order a size up if you're unsure. If you ordered an item marked RTS or 'Ready to Ship' it will ship within 3-5 business days of your order. If you ordered an item that is made to order, please allow up to 3 weeks for me to create and ship (though most usually ship well before then). Please note that to ensure you receive your order as quickly as possible, t-shirts are shipped directly from our printer, but all other items are shipped from us.